Israel's occupation Army prevents a bleeding pregnant woman from going to the hospital, prevent an ambulance from going through. "Edward Said gives a biography of his life and work." "Al Jazeera English airs exclusive footage of a series of deadly Israeli air strikes in the Gaza Strip, one of which struck as Gaza correspondent Nour Odeh was live on air." 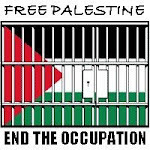 B'Tselem is an Israeli Information Center for Human Rights in the Occupied Palestinian Territories." Hebron reflects the complexity and brutality of the Palestinian-Israeli conflict. It was illegally occupied by Israel in 1967. 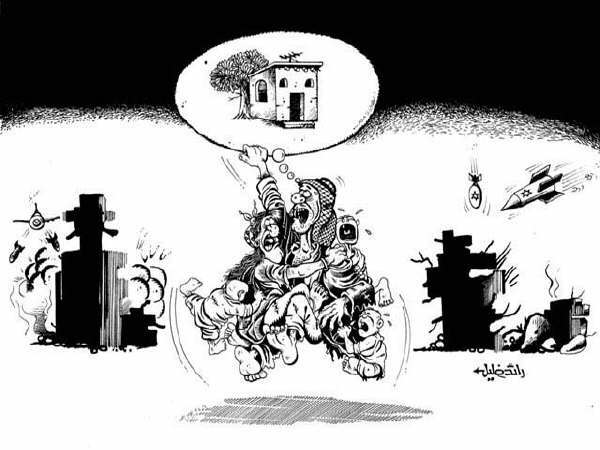 As a result, many Palestinian families were forced to leave their homes and Israeli settlers moved in. Life is incredibly tough for families remaining there. There right to earn a living and even taking children to school becomes an ordeal. Sami Zeidan reports from Hebron. "On Saturday May 5, Israeli settlers assaulted international human rights workers in the Tel Rumedia neighborhood of Hebron, Palestine. When other HRWs attempted the film the incident, settlers pushed and screamed at the HRWs to leave the area." Tel Rumeida, HEBRON– At approximately 3PM this afternoon two Human Rights Workers HRWs were walking through the olive grove in the Tel Rumeida district of Hebron. The HRWs noticed Israeli settlers trespassing inside the house of Issa Amro, the Palestinian property owner. Israeli forces have deemed Amro’s house a “closed military zone,” which means it is “illegal” for Amro to access his own house. This also means that Israeli settlers are forbidden to enter the area. The HRWs sat approx. 20 meters away from the property, under an olive tree, to document the illegal trespassing. Three settler boys, aged around 10, approached the HRWs. The settlers began to yell at them, saying ‘turn off your camera’ (which was off), ‘go home’, ‘get out of here!” Settler then began shouting ‘Nazi’ and threatened physical violence. The Israeli soldier that was posted inside Amro’s house came down into the grove and intervened. The settler told the HRWs “they are just children, I’m sorry”, and “you can video here if you want, you can do whatever you want”. The settlers returned to the far side Amro’s house (away from the HRWs) and the HRWs moved back a further 20m to avoid provoking further attacks, but maintained a presence in the grove. Five minutes later, the same three settler boys, accompanied by a further 2 two pre-teen boys and two adults (aged early twenties) advanced towards the HRWs. The boy in the front was carrying a length of thick plastic pipe, approx 1.5metres. These settlers continued the same verbal threats whilst surrounding the HRWs – and lifting the pipe into a ‘strike position’. Some of the other settlers picked up sticks and prodded the HRWs as the boy with the pipe hit and pushed at one HRW. The other HRW shouted for the soldier to intervene. The verbal threats and physical violence was increasing when the soldier arrived and the soldier attempted to deescalate the settler attack. At this point, the women of the Abu Talal family moved onto their stairway overlooking the grove to film the attack. When the settler boys noticed the Palestinians filming, the settlers became instantly hostile. One of the settler boys ran at them, throwing stones, causing them to take shelter. The rest of the settlers yelled taunts and made obscene gestures. During the entire attack, the adult settlers had stood aside laughing – it was only at this point, when the HRWs requested the presence of police to the soldier, that the adult settlers ushered the younger settlers away. Some footage of the latter part of the attack was captured, primarily the stone throwing towards the Palestinian woman filming. At approximately 5pm, 3 HRWs went to aid 2 other Internationals who were being attacked by settlers on the stairway and path overlooking the Beit Hadassah settlement. The HRWs were alerted to the incident taking place by shouting and yelling and the sudden movement of Israeli soldiers and police running up the stairs. As the HRWs approached, they saw from the bottom of the stairs a group of 20 young settler boys ranging in age from 8-15, surrounding the 2 HRWs, and soldiers and border police attempting to intervene as the settler boys physically and verbally attacked them. The 3 HRWs filmed from the bottom in an attempt to capture evidence of the settlers assault on the HRWs. A large group of adult settlers then rushed at the 3 HRWs, pushing and grabbing at their cameras and shoving them up the street away from the incident. As they shoved the HRWs away, the settlers shouted, “go home,” “this is your fault,” “we’re not the terrorists,” “you’re ugly from the inside and out.” The settler adults were joined by a group of young teen boys (from the earlier attack on HRWs in the olive grove) who used a large sheet of cardboard to block the video cameras recording the assault, and joined in yelling abuse and threats at the three female HRWs. At approximately 5pm, two human rights workers (HRWs) were prevented by Israeli settler children and armed Israeli men from walking on a path beside Abraham’s Well. As the HRWs returned on the path back toward Shuhadda Street, they noticed Israeli settler children attemtping to block the stairs leading to the Cortuba School, a Palestinian girls’ school, and Palestinian houses. The HRWs decided to stay on the path in order to help protect any Palestinian who might come to use the path to get to their homes. Due to the presence of other internationals, the settlers could not block the stairs. A settler teacher with seven students sat and blocked the junction of the two paths leading to the school and homes. A Palestinian woman tried to walk the path and past the children. She was, however, prevented by the settler children. One of the HRWs went to accompany the Palestinian while the other filmed. Once the Palestinian woman passed, the International shut off the camera in order not to provoke the settlers. However, the settler children who were sitting with the teacher and other children coming from the stairs surrounded the two Internationals and began to beat them with their hands and feet. The teacher was not responding to the calls from the HRWs to stop the children. All this happened in front of the eyes of soldiers that were standing on the roof of the occupied house just behind the paths. Finally, after a few minutes, a soldier ran to help the Internationals, however, even he could not stop the settlers. A policeman came up from the stairs and led the HRWs down the stairs away from the settlers. No further action was taken by the policeman to detain any of the settlers involved in the attack. One of the HRWs showed a policeman the footprint of a settler child’s foot on his stomach. Today, Saturday May 5, Palestinians and four international human rights workers (HRWs) were attacked by Israeli settlers in the Tel Rumeida district of Hebron. At approx. 15:00, three Israeli settlers, around the ages of 10-12, approached two female HRWs. According to Astrid, an HRW from New Zealand, the settlers were screaming, “Get out of here!” and “Stop filming!” Astrid claimed that she was not filming when the settlers attacked. The HRWs backed away from the scene “so that the settlers wouldn’t see us as provoking them,” said Astrid. The settlers returned accompanied by two male settlers in their 20’s and at least 2 additional settler youth joined the three other settlers. Together, the settlers started to hit, push and poke the HRWs with a long pipe. HRWs yelled for help from the Israeli soldier that was stationed nearby. The soldier intervened to stop the settler violence against the HRWs. Palestinian women from the Hadad family’s house were viewing the scene from their yard. When they started to film the incident, the settlers then turned their attention to the Palestinians and began to attack them with rocks. Though, according to the HRWs, the soldier was trying to prevent the stone throwing, settlers managed to throw a few stoned before the Palestinians that were filming retreated inside the house. The Palestinians then handed the tape over to the HRWs in order to transfer, and should be available soon. Aprrox. 2 hours later, a group of 8-9 settlers, settlers attacked two more human rights workers– one from Greece and one from Germany. In Tel Rumeida, Palestinians are not allowed to drive any type of cars, including buses, taxis, ambulances, and fire trucks. Israeli settler civilians are allowed to carry guns, while Palestinians are not allowed to have weapons of any kind. Palestinians are subjected to random detentions and ID checks (Israeli settlers are not). Israeli soldiers frequently invade Palestinian homes or use their roofs as outposts the security forces in the neighborhood are Israeli only and ignore complaints by Palestinians. Last month, Israeli settlers set fire to a Palestinian resident’s car. Israeli soldiers refused to allow Palestinian fire trucks to enter Tel Rumeida to extinguish the fire. "Jeff Halper, the executive director of the Israeli Committee Against House Demolitions, speaking in Portland, Oregon, on May 3rd, 2007. Halper discusses the role of Israel in the American Jewish community, the growing crisis in Israel-Palestine, and the urgent need for change in the United States' policy toward the region."